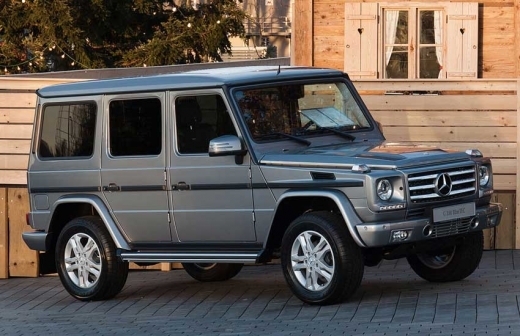 A Nigerian man based in South Africa says he does not regret buying a luxury Mercedes-Benz G-class to a South African man as a token to apologise for impregnating his wife. “I know what I did is wrong but I feel better he has accepted my gift. He accepted that his wife, my girlfriend, is pregnant and will soon give birth to my son. He was angry at first but when I presented the car to him his anger vanished,” said the man who identified herself as John. One source close to the family of the woman who fell pregnant says she knew about the affair but never thought it would lead to a pregnancy. She says she is disappointed the husband accepted the Mercedes-Benz from the Nigerian national. “Nigerian men will never take our men seriously. What kind of a man accepts a gift from a man who impregnated his wife? He will impregnate her again and buy the stupid husband another car. I am so disappointed,” she said. When approached for a comment the husband said “it is wrong to say I am stupid. The point of the matter is we cannot reverse what happened. We sat down as men and sorted the issue. The Bible says we must forgive and forget. I have always dreamed of driving a G-wagon. Christmas came early for me and my family,” said the husband who didn’t want to be named.